Here’s a collection of Premium WordPress Themes all about medical centers and clinics, doctors, physiotherapists, veterinarians, dentists and more business people of this field. They are rated as the best medical themes by the customers and by the professionals, for complimenting the perfect features and functionalities to build a professional or personal medical website. Hope you enjoy! 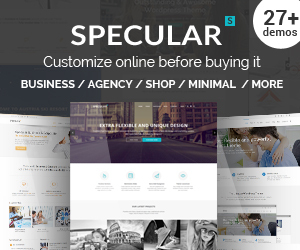 Specular, our theme, obviously it’s a business-corporate mainly oriented theme, but it can be used even for medical business purpose, as it is a multipurpose theme. We desire you to obtain one of the most out of your Consulting business WordPress theme, so we provide individual assistance and updates. Specular loads the raw power as well as large pliability to seamlessly provide itself to a variety of diverse usages and also applications, making it an absolutely shape shifting theme. Some Features/Plugins : Some Features/Plugins : video background, research, site width control, parallax sections, animations, live customizer, SEO and speed optimization, multimedia slides, codeless slider, WPML, CSS3 animations, child theme, ajax page transitions, smooth scroll, dedicated support team, video tutorials. Medicenter is a extraordinary WordPress responsive multiconcept theme, developed with the power, stamina as well as flexibility to quickly offer itself to use in a practically infinite selection of various internet site possibilities, mixes, designs and natures, yet especially well gotten ready for taking care of medical centers and doctors. With this theme, web pages can be equated right into various languages. In addition, it incorporates greater than 500 Font Amazing icons. One of the best selling themes of its kind, you for sure will be happy to work with and create your professional website. Some Features/Plugins : predefined skin colors, pricing tables, RTL, 800+ google fonts, WPML, woocommerce, jquery powered, ajax form, RTL, clean design, google maps, blog layouts. Perfectly designed, features availability, clean looking, MedicalPress is another successful medical theme. Furthermore, it consists of a Visual Composer plugin to assist you construct page designs without touching a single line of code. Physiotherapists, dental doctors, doctors, and several various other medical experts are usually running their own practice to raise volume of work, and in order to promote themselves they as well, should visit this theme. It is SEO-ready and best for any type of doctor, hospital or clinic. Some Features/Plugins : child theme, SEO, sidebar manager, WPML, woocommerce, doctors templates, XML file included, RTL, TGM plugins, google maps, blog/news with post formats support. Another amazing medical, dentistry created theme. Medical is a specifically developed theme that has actually been dressed up with all the plugins, functions, resources as well as page themes you can possibly ever need while organizing, developing, making and also preserving sophisticated and also tech-savvy medical and health care organization internet sites of all kinds, in a seamless, windy and easy style. It is maximized for efficiency, while not compromising or overshadowing your web content. With Medical Health WordPress theme, you could introduce a successful online service because it completely sustains WooCommerce plugin. It is among the very best marketing medical and health associated themes and is still proactively kept. 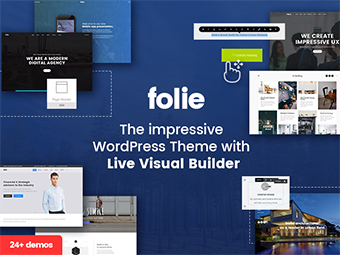 Some Features/Plugins : endless layouts, top notch support, high speed performance, 600+ google fonts, SEO, sidebar manager, WPML, woocommerce, layer slider, video tutorials, events calendar, bbPress, gravity forms. Medicare is a sophisticated, very little and also receptive theme well fit for health industry specialists. Every section could be personalized, thanks to the incorporation of special medical icons. This theme showcases a completely responsive design to ensure that your website operates appropriately on any type of screen size. It looks attractive also on displays with high resolution due to the fact that it is retina ready. The theme includes both one web page and also multi-page arrangement and also new components on these web pages can be added using powerful drag & drop web page builder. Some Features/Plugins : child theme, wp customizer, translation ready, page transitions, woocommerce, unlimited sidebars, shortcodes, SEO, distinctive typography, booking form. With the MediCure theme you get the capacity to showcase your personal or company top doctors, sevices, clinic news and more. Using the simple drag & drop page builder, tons of options, and WooCommerce integration, you are able to create your online shop that runs smooth and fast on any devices. The theme package contains features to help you create a stunning website for your business in an instant. Several custom widgets are included as well. Some Features/Plugins : woocommerce, custom shortcodes, layer slider, SEO, detailed theme knowledge base, unlimited colors choices. Healthflex is a responsive wordpress theme particularly for medicals and also hospital/healthcare sector. This theme is still suitable for physicians, dentists, health clinics, hospitals, doctors, trains, personal instructors, professionals, specialists, as well as various other medical relevant areas, along with a more basic and also multipurpose layout. The theme complements clean coding, wonderful layouts and also fast filling speed. Some Features/Plugins : WPML, ECWID cart plugin, woocommerce, UI ready, W3C validated, mailchimp, API integration, OWL sliders, ajax page loading, plethora widgets, video tutorials, submit ticket. PharmaPlus WordPress theme was developed to provide a perfect remedy for medical sites, for pharmacists and also fitness intructors to showcase their business. The powerful theme options panel permits you to modify virtually all facets of your website. 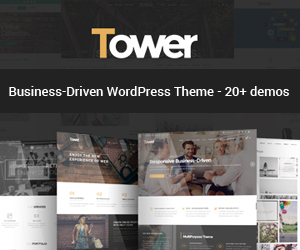 It is a highly customizable theme with unlimited color options, awesome shortcodes, multilingual and SEO optimized structure, paid subscriptions and much more. Its advanced theme options allow you to change the basic elements in your website. They manage to perfectly balance practicality, assuring both mass appeal, and search engine optimization. Some Features/Plugins : health services layouts, SEO, woocommerce, mailchimp, unlimited sidebars, fast support, page builder, RTL, WPML, advance theme options, multi site tested. Medical and Dentist theme is an extremely professional looking medical WordPress theme that is customized developed to create a modern-day health-related internet site. Personalized Providers blog post type enables you present medical solutions of a large hospital as well as of little private clinic and great versatility allows you to adjust the theme to your requirements.The build-in custom-made admin panel has all the alternatives you’ll ever should tailor your internet site in a couple of minutes, be it transforming colors, including a history photo, typefaces or establishing image dimensions, the theme has actually obtained you covered. Some Features/Plugins : one page support, WPML, premium sliders, SEO, animations, drag and drop, custom widgets, layer slider, advanced SEO, 99+ shortcodes, premium support. Physio includes built-in options, so you can quickly and easily change-up the colors, logo, sliders, fonts and more with a few clicks of a button. And it is also fully integrated with WooCommerce to help you sell digital as well as physical goods with ease. This them is a nature therapy centric format for massage and nature therapy with various therapy or therapy hero slider, spa services, about, quality as well as functions, consumers and solution data counter, different bundles, medical spa masonry gallery, specialists showcase, blog, call information etc. Some Features/Plugins : live customizer, booked plugin, custom widgets, woocommerce, fast code, WPML, PSD, 5 star support, child theme, unlimited sidebars, shortcodes, SEO. Dentist theme is a small one-page website made to channel the site visitor to a details action, suitable for dentistry businesses. This theme is established as well as developed for dental centers however you will certainly see from its demo that you can use it for any health and wellness and also medical site. It is professional looking, simple and modern. Some Features/Plugins : one page theme, before and after gallery to show people your work, google mobile friendly, SEO, WPML, drag and drop, animations, extensive documentation, video tutorials. VETS is a really effective and also technologically articulate and also resourceful, customer as well as admin friendly and extremely very easy to use and also learn, feature-rich as well as well structured, conveniently navigable as well as cohesively created, graphically polished and visually appealing and also attractive receptive WordPress medical, healthcare and hospital web site theme,, suitable for you pet care. It is SEO-ready and ideal for any type of medical professional, medical facility or clinic. Some Features/Plugins : RTl, WPML, drag and drop builder, google maps, jquery, CSS3 animations, working contact form, touch enabled carousels, single doctor pages, ECWID compatibility, custom widgets. The theme is suitable for any type of health and wellness, healthcare facility, or medical site. Well coded, structured and also fully optimised for Search Engine Optimization as well as suitable with Search Engine Optimization Yoast as well as All in one SEO plugins likewise.Dentario theme is also fully optimised code for quick execution. This theme has a clean design and many layouts to serve to dentists specifically and their small or big business. If you are a programmer or just a simple dentist that is ready to launch its business on the market, this theme is for you. Some Features/Plugins : flexible colors, drag and drop page builder, SEO, google fonts, video slider, multi language support, custom widgets and shortcodes, performance optimization, ajax search. If you are you searching for a medical WordPress theme to take your healthcare advertising and marketing to the next level, Medical clinic is your method out. Custom Services post type enables you to showcase medical solutions that your organization uses. This WordPress theme showcases a clean and also contemporary appearance suitable for the doctors line of job. It has numerous custom post types (testimonies, team, solutions, and so on. With this contemporary front-end submissions functionality, your recipes are formatted making them less complicated to follow. Some Features/Plugins : shop for medicine, woocommerce, section options, portfolio and blog layouts, animations, color management, WPML, drag and drop, advanced SEO. Develop your personal Pet shop or vet site with our awesome pages! PetVet offers 10 prebuilt color schemes and also limitless shade alternatives, boxed & large formats, lots of font options, powerful custom widgets, functioning get in touch with form, social media sites integration as well as touch/swipe support for sliders. PetVet executes HTML CSS innovation, and also it has a WordPress PHP contact Type. This is a beautiful style created with HTML5 and CSS3 code with one click demo important attribute to make your site resemble the demo theme instantaneously. Some Features/Plugins : drag and drop builder, woocommerce, parallax effect, sliding bar widgets, good support, icon font and google font, well documentation. Maxi Health fit as a theme for doctors, physiotherapists, chiropractic practitioners, dental professionals medical methods and also related enterprises, as this theme’s fresh-faced look will appeal to customers throughout all demographics, inspiring the self-confidence and also trust had to establish a physician patient connection. For instance, if you desire to transform your website color, dimension as well as design you could just deal with admin panel and also additional choices. The project is open-source which implies that anyone could use the source code and also explore it deeper, however additionally make quick changes and also modifications where needed. Some Features/Plugins : easy admin panel, RTL, highly optimized, translation ready, ajax contact form, custom widgets, unlimited sidebars, detailed documentation, live customizer, update notifications. Medico is an attractive looking clean and specialist WordPress style that could be made use of for any health and medical associated web site, but specially can be used for veterinary services. The theme is completely receptive due to the fact that it is improved twitter bootstrap 3 framework. This theme additionally includes medical-professional particular devices such as a visit organizing tool and physician profiles to name a few. It has an interactive design, which will make your website fun to visit. Some Features/Plugins : light and dark versions, layer slider, 3 color schemes, woocommerce, animations, parallax, translation ready, video tutorials, unlimited portfolio and blog layouts, SEO.